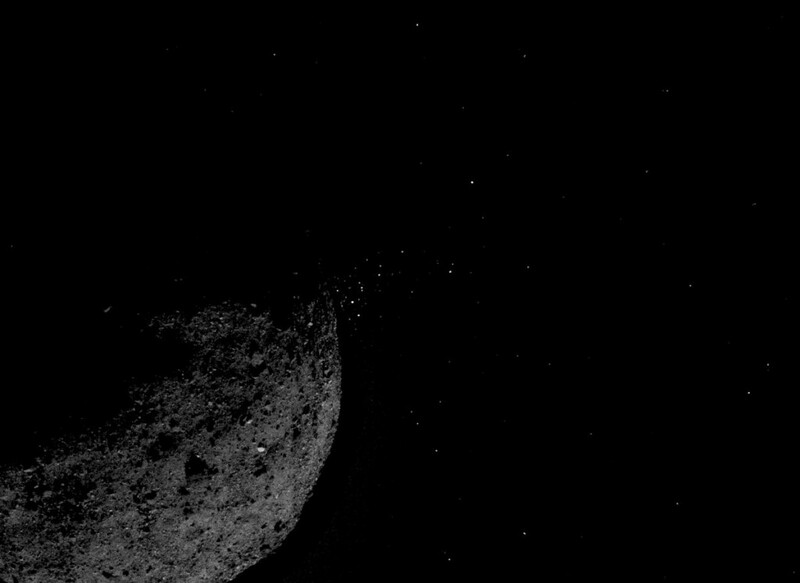 Last week at the 50th Lunar and Planetary Science Conference, the OSIRIS-REx team announced the first observations of particles being ejected from asteroid Bennu. Several such eruptions have occurred in the three months OSIRIS-REx has been in orbit around Bennu. Some of the particles are lost into space, while others orbit the asteroid for a short time before falling back to the surface. The mission’s science team is currently assessing how the particle plumes might affect the spacecraft’s ability to collect a sample from Bennu’s surface for return to earth.